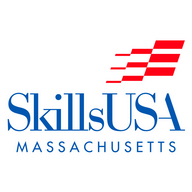 SkillsUSA Massachusetts, provides opportunities for members to develop individually and improve teamwork, leadership and professional skills through a focus on education, commitment to service, and participation in competitive experiences. SkillsUSA Massachusetts, located at 250 Foundry Street, South Easton, MA is a state association of SkillsUSA, a national organization serving more than 300,000 high school and college students and professional members who are enrolled in training programs in technical, skilled, and service occupations, including health occupations. In Massachusetts we serve more than 34,000 students, teacher and administrators within 51 high school and college programs. SkillsUSA Massachusetts programs include local and state competitions in which students demonstrate occupational and leadership skills. During the annual State Leadership & Skills Conference, more than 2,500 students compete in 86 occupational and leadership skill areas. Gold medalists from our state proceed to join more than 4,000 students to compete in the annual national-level SkillsUSA Championships. The SkillsUSA Framework, which impacts the lives of America’s future workforce through the development of personal, workplace, and technical skills grounded in academics, reveals how career and technical education programs and SkillsUSA are relevant in today’s economy. Pillars of the Framework include; innovative programming, quality instruction, and industry partnerships focused on preparing students to succeed at work and in life. The Professional Development Program is a self-paced curriculum for secondary and college students. It teaches skills such as effective communication and management, teamwork, network, workplace ethnics, job interviewing and more. The curriculum involves local industry and academics and can be used in day-trades, apprenticeship training, cooperative education, school-to-work, academic and special needs programs.